5 g in 1 litre of lukewarm drinking water, 3 times daily. 15 - 50 g per treatment. Treatment can be repeated for 2 -3 days. 5 g in 1 litre of lukewarm drinking water, 3 times daily, during the diarrhoea-period. Administer for 4 consecutive days. 1 kg in 60 litres of lukewarm drinking water. Do not administer or feed anything else. 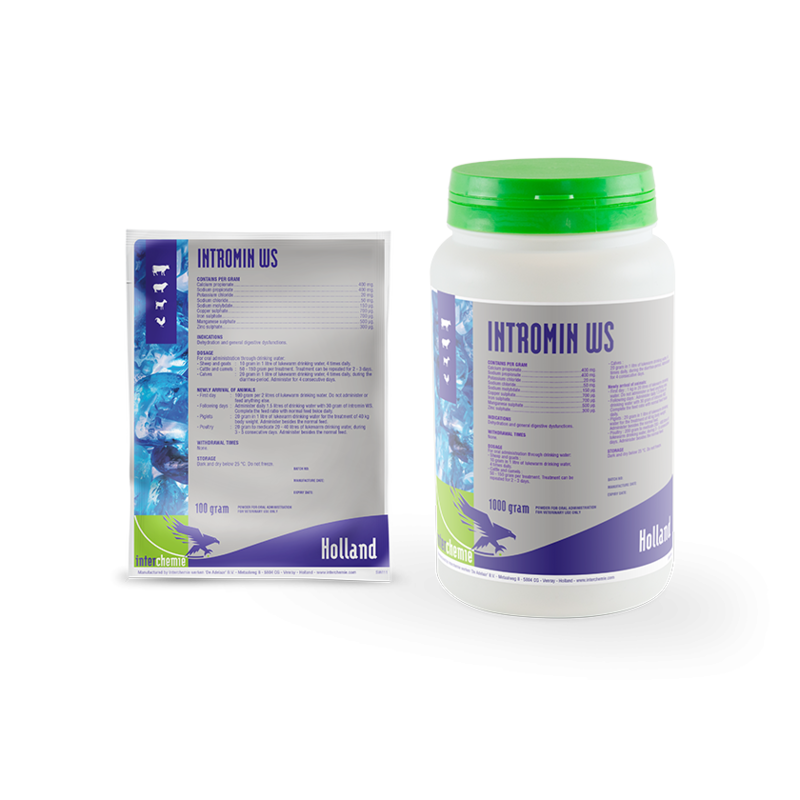 Administer daily 1.5 litres of drinking water with 20 g of Intromin WS. Complete the feed ratio with normal feed twice daily. 10 g in 1 litre of lukewarm drinking water for the treatment of 40 kg body weight. Administer besides the normal feed. 200 g to medicate 200 - 400 litres of lukewarm drinking water during 3 – 5 consecutive days. Administer besides the normal feed.